We import fish meal for fertilizer. I was told $400 million per year. 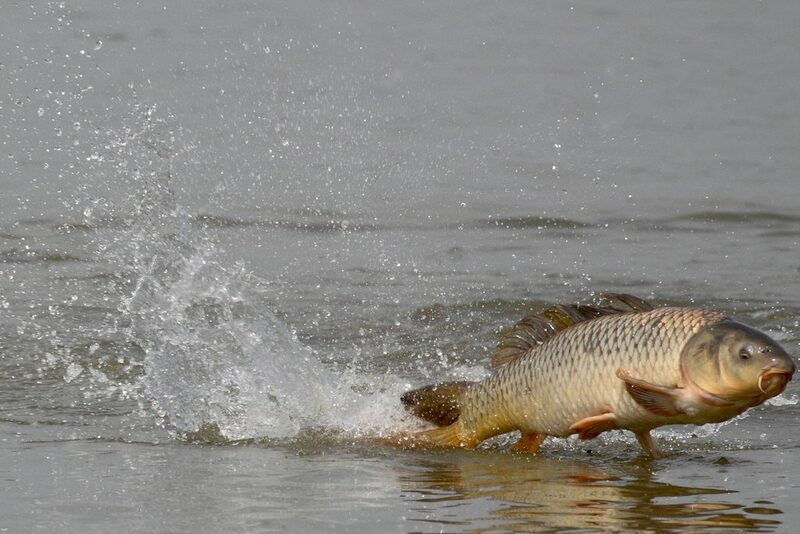 If we fish using electro-prods we reduce the carp & other fish recover & swim away. There are over 7 billion people on this planet & there will soon be a need for fish as food & we can reduce our import of fish for fertilizer. I read the rat specific herpes virus gas infected & killed humans in Hong Kong. We do drink water & eat fish. Is that close enough contact to allow humans to be infected? If this becomes a disaster causing injury oe harm to us, will those responsible be charged with a criminal act & tried in court? 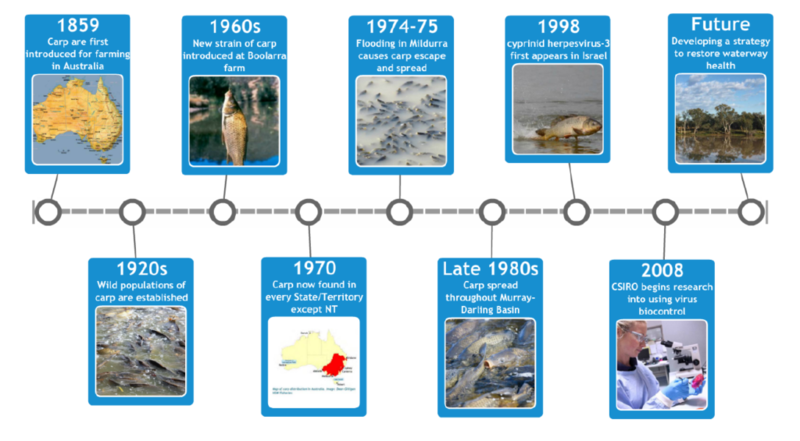 I thought the Cane Toad was a greater threat to Australian animals than the Carp. I agree that the Carp has been a conrtibuting factor in the degredation of the Murray River system and our native fish stock. 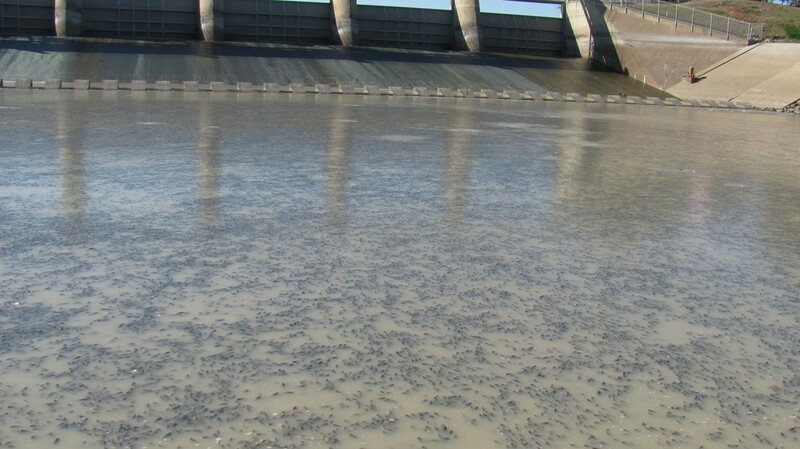 What if by some strange event the dead Carp managed to make its way to the River Murray mouth and the virus spread to the Mulloway , Salmon, Whiiting etc etc. Watch Australian River Cottage episode where he cooked up some Carp and served it to the locals at the Pub. Only 2 guessed it was Carp. We recently caught Carp at Goolwa, skinned and filleted it (need a realy sharp knife) dusted with flour ,salt and pepper and fried on the BBQ.Tasted good. Humans need not worry about contamination, apparently we have been tested to be “not at risk” via tests on mice, because you know, *insert sarcasm* us, mice, same thing. 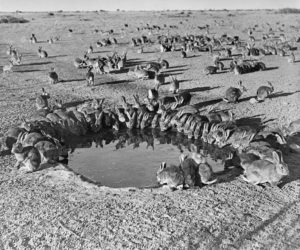 I propose that the virus be tested safe on the humans who want to release it, it could go in their drinking water. It’s perfectly safe (apparently) so what could possibly go wrong. There has to be a better way to reduce the carp population.